Minnesota used a 3-0 lead after the first half to outlast visiting Portland Timbers 3-2 inroute to their first victory in nearly two months. 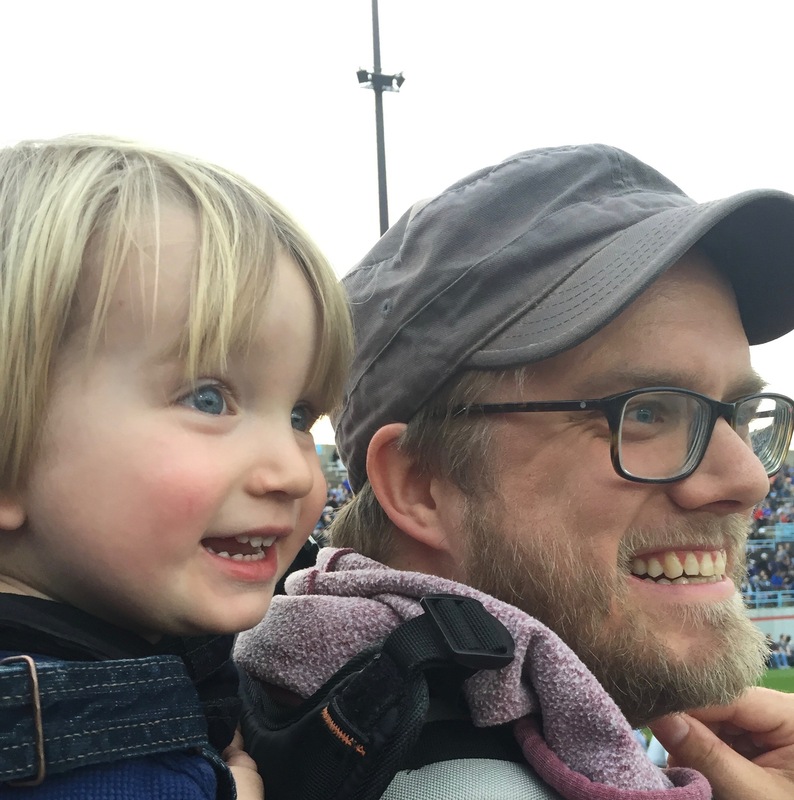 For Minnesota’s last two matches, young defender Wyatt Omsberg had acquitted himself well, but with Eric Miller finally healthy, the rookie again found himself on the bench. Between the posts stood Bobby Shuttleworth with Brent Kallman and Michael Boxall in front of him while Miller and Francisco Calvo played out wide. Central midfield featured Fernando Bob as the defensive midfielder along with Maximiano. Rasmus Schüller, normally in that role, instead was out wide, just as he had done on the road against Real Salt Lake when Abu Danladi had gone down with a hamstring injury. Out wide on the other side was sparkplug Miguel Ibarra, while Darwin Quintero and Romario Ibarra were up top. For Portland, many of their stars started the match on the bench. Diego Charra, Diego Valeri, and Zarek Valentin were not in the starting XI for the visitors and their absence was definitely felt in the first half. While the fans were still trickling in from the long lines to enter the stadium, Shuttleworth had already made an excellent save on a second chance shot after Minnesota had given up a free kick within 30 yards of goal. After that, the first fifteen minutes were all Minnesota, with Quintero, Ibarra, and Maximiano all having decent chances on goal. It would be Romario who would put the home side ahead in the 18th minute. A great long ball from Bob found an onside Quintero who beat the last defender and the goalkeeper before passing it off to Romario to put it in the back of the net. Minnesota wasn’t done after that. Quintero continued to make Portland’s defense look silly with his dribbling, while Ibarra hit the crossbar, and then Calvo had a shot also denied. All told, Minnesota had 13 shots in the first half. Their season per match average had been 11. Minnesota used a solid press to prevent chances for Portland and create opportunities on attack. 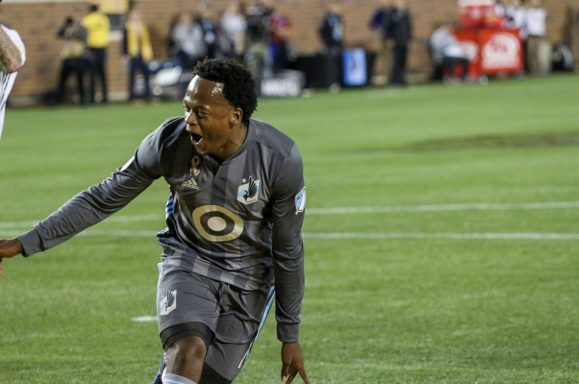 In the thirty-sixth minute, Minnesota recovered the ball in the midfield, and a beautiful through ball for Romario gave him his brace on the night and Minnesota led 2-0. Unfortunately, the Ecuadorian pulled his hamstring with his shot, and had to be subbed out. Minnesota wasn’t done. On a corner late in the first half, Schüller chested down the set piece by Quintero and Boxall one-timed it solidly into the back of the net. Minnesota was up 3-0 against the team currently in fourth place in the Western Conference. Gio Saverese had some choice words for his team at half time when he was interviewed for the Portland broadcast. Portland Timbers subbed in their star defensive midfielder Diego Chara at the half to prevent Quintero from controlling the attacking midfield space for Minnesota. He proved to be a spark for Portland. After looking impotent all night on the attack, the Timbers turned a corner kick into a goal in the 55th minute. The ball was headed out on the initial ball in, but only to the top of the box where Alvas Powell blasted a shot into the upper 90 to put the match at 3-1. The would enter the latter stages chippier, with the teams trading professional fouls and yellow cards. Quintero almost put the game away with a chip over the keeper in the 73rd minute, but it hit the near post. That goal would be helpful, as minutes later Sebastian Blanco scored the Timbers second goal of the night. He had plenty of space in the box after Jorge Villafana’s cross to put it into the back of the net. If Minnesota was going keep all three points, it would be down to Bobby. He saved a point blank shot by Portland. He would be without all of his defenders, as Fernando Bob was called for a straight red card on Diego Valeri in the 89th minute. The free kick sailed high and wide. Even with six minutes of added time, the Timbers never truly threatened, and Minnesota was able to walk away with all 3 points for the first time since July 23rd.